Your business either has an already existing terminal solution in place or needs to implement a new one. So, your current objective is to implement an EMV-certified terminal solution for your company (or switch to a new solution that also has to be properly certified). The first group of common problems is related to complexity of integration with payment terminals and terminal deployment logistics. Although sales and marketing materials of terminal manufacturers suggest that these processes should be easy and smooth, your developers are telling you that the end result is not that pretty and easy to support (for instance, the terminal solution is not adapted to your web-application etc). The second group of common problems is related to complexity of EMV certification process. You might be feeling lost in the endless certification procedure with new problems constantly emerging. The process is very costly, labor intensive, time-consuming, and requires usage of particular EMV toolkits (that also cost a lot). The process of EMV terminal solution implementation is, indeed, not an easy one. 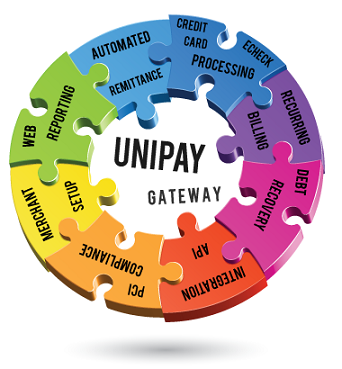 However, usage of an advanced terminal technology (such as UniPay Gateway terminal cloud) as well as outsourcing of integration and certification efforts to the team that already has the necessary equipment and to people that routinely perform similar tasks, can significantly reduce your costs. United Thinkers is a company with rich experience of helping people with successful EMV certifications and implementation of terminal solutions. Feel free to request a free consultation with our payment experts and discuss your specific situation today. Want to implement EMV terminal solution? Read about the complexities of implementing EMV-certified terminal solution to make this process less complex.